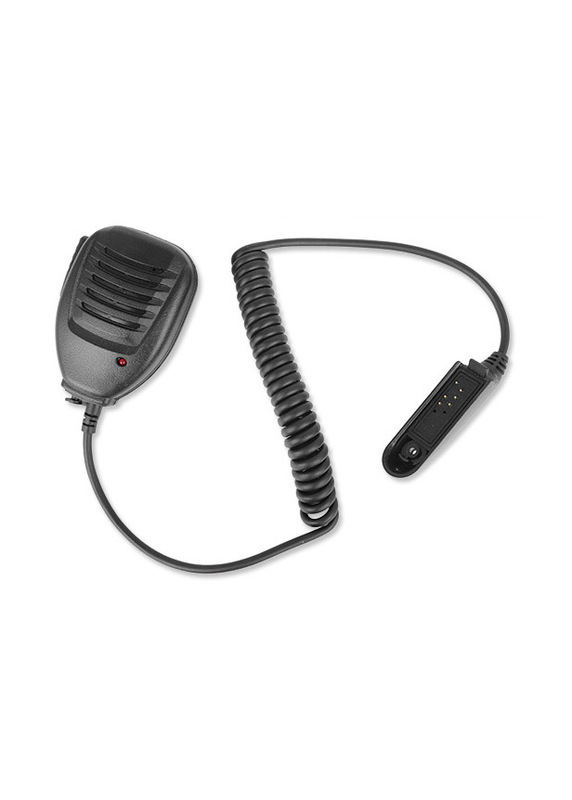 BaoFeng Single Push-To-Talk (PTT) Speaker / Microphone and Speaker for T-57 radio. Easy to use, large button on the left side. 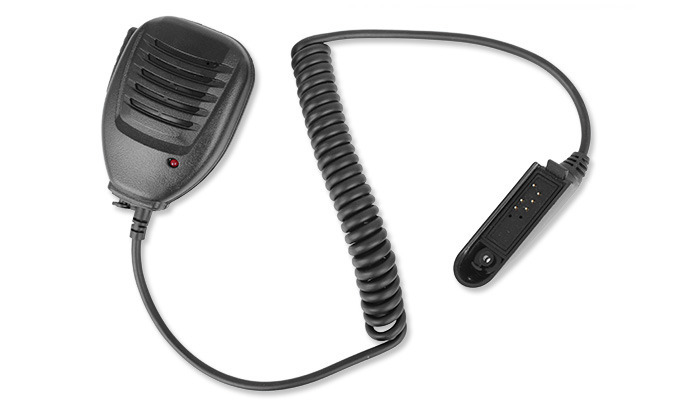 Back of the microphone has a rotatable clip. 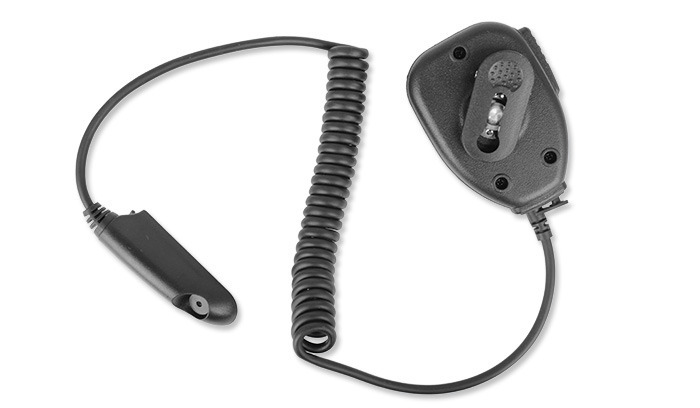 Rubber secured socket allows for use mini jack 3.5mm listen-only earpiece.